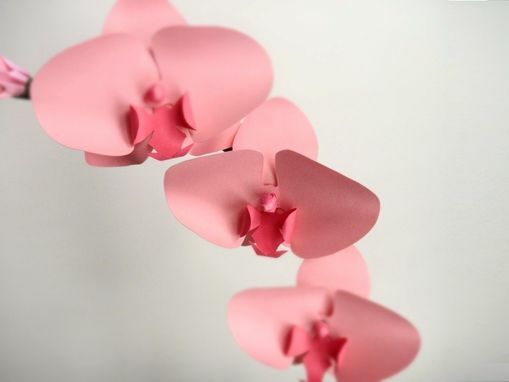 Rare and delicate beauties - orchids symbolize love, beauty, and sophistication. 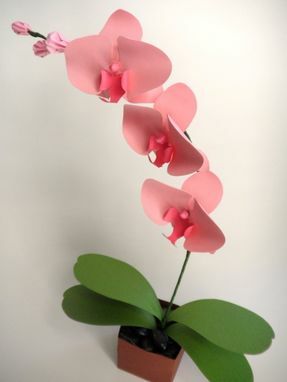 This stem of three light pink phalaenopsis orchids with dark pink throats stands approximately 14 inches tall and has three origami light-pink buds at the end. 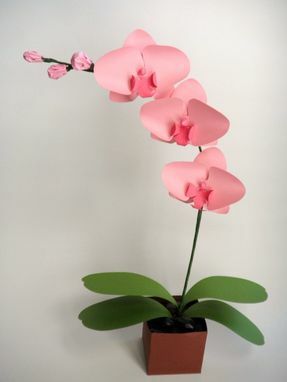 Each hand-cut flower is 3 1/2 inches wide. This arrangement brings a touch of elegance to any room and is the perfect size on a desk or nightstand. Comes in a 2 1/2" x 2 1/2" cardboard vase. 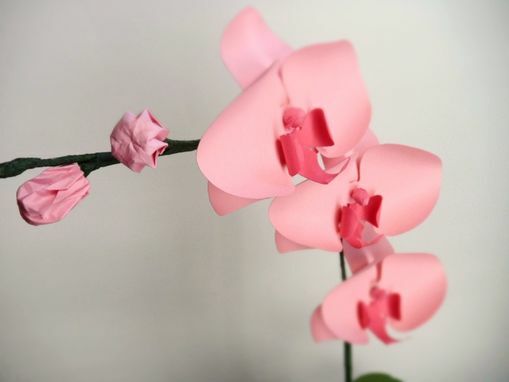 Each flower is carefully hand- cut, and arranged - down to the smallest detail - to look as similar to the real flower. Display as is, or combine with other flowers in your own arrangement.